Thinking: that April went by far too quickly. Reading: some books about missionaries in hard places - Pakistan, Afghanistan and North Korea. And after that I am thinking it might be time to take a church history book off the shelf. It has been a few years. Time to brush up and be amazed at God's kindness and abiding faithfulness with His people all over again. Drinking: tea. Real tea. Went back to it in mid-April. The decaf version is bland and has become tiresome and boring. Considering: for the fourth year in a row whether I should buy a slow cooker. Thankful: for Deb's short but straight to the point post about all how easily we forget all those hours of children being reasonably good and productive members of the family and how readily we LEAP upon the ten minutes of children being "supremely annoying and painful." Wise (as always, Deb) and perspective altering. Confessing: that I wrote this slightly ahead of time. So when I say drinking tea, I mean it in a general sense rather than a specific, as-I-write sense. 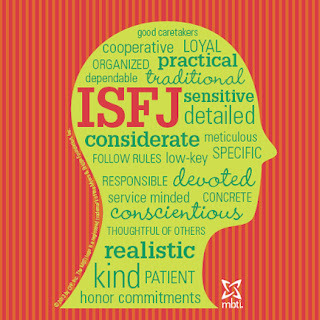 Deciding: that despite what I said here about having turned into an extrovert, I think I am still my good old ISFJ self. I'm a much more confident, outgoing version of my old self but there have been moments in recent months when I have found myself longing to own one of these, even during the long, hot summer. I first saw this photo on Ali's gorgeous blog last year. 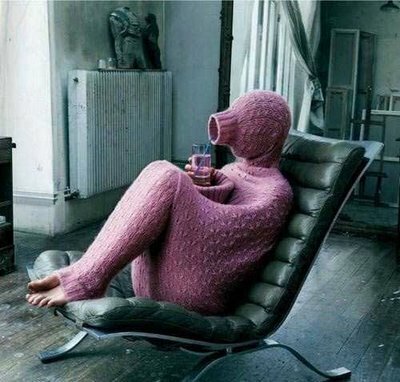 Only the brain of an introvert would lock in that image.